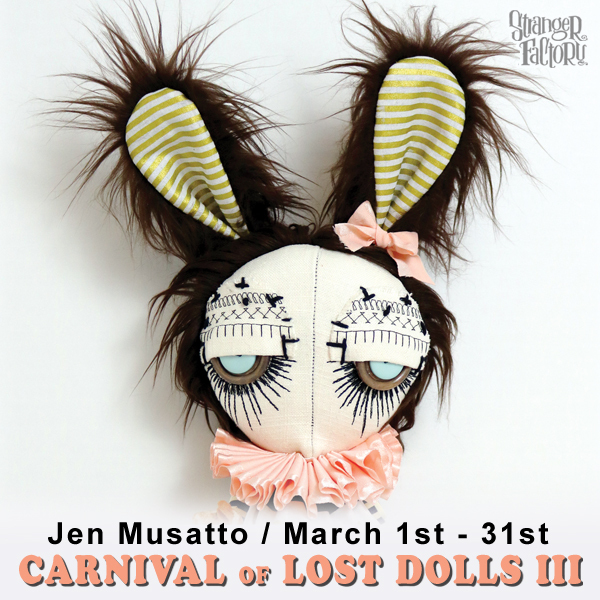 Come one, come all to Carnival of Lost Dolls III! 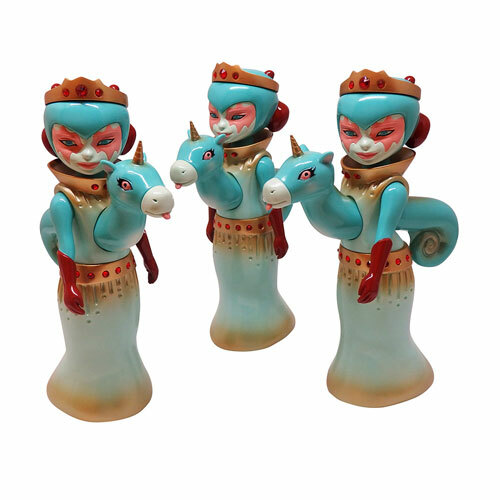 Jen Musatto’s signature style returns to Stranger Factory for her fourth feature exhibition at the gallery! Each unique in their own endearing way, “Them Dollz”, are a line of handcrafted plush dolls that evoke a sometimes melancholy and gloomy image of the fleeting nature of childhood. Where innocence and the longing for companionship take a most unusual form, the playful nature of the doll is born. Her figures are nostalgic and reminiscent of the sewn faces of characters like the classic commercial ragdolls of her childhood. She finds solace in sewing bits and pieces of fabric together watching limbs, torsos and features come to life. 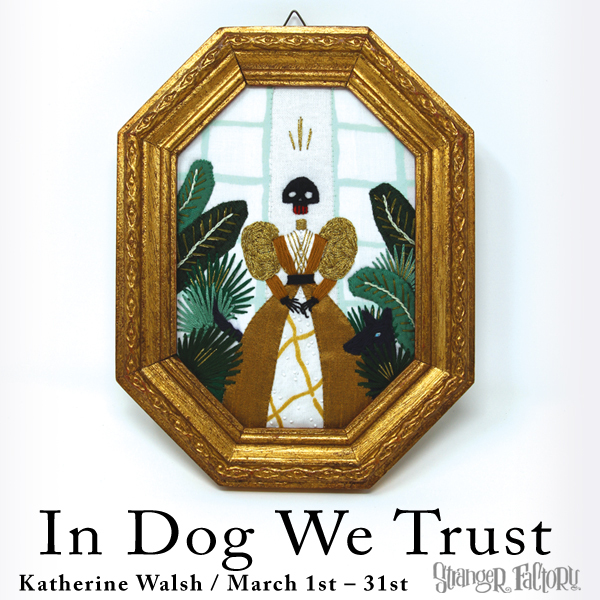 Stranger Factory is pleased to welcome Katherine Walsh in her second feature show, In Dog We Trust. Join us as Walsh takes us on an exploration of her connection to dogs as protectors, throughout the living world and the afterlife. Walsh’s take on historical embroidery and appliqué puts a new spin on the traditionally domestic craft. Her non-traditional approach to imagery creates a narrative that is both unexpectedly feminine and feisty.